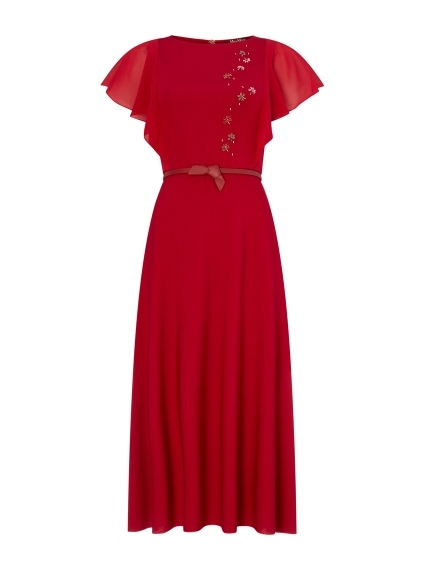 Max Mara Studio's timeless aesthetic is exuded in this cherry red Limone dress. Featuring placement embellishment, it's finished with flirty cap sleeves and defined with a thin leather waistband from which a long, floaty midi skirt falls. Style with ballet flats for an elegant weekend edit or team with heels for your next event.